Getting on top of all the busy-ness takes intentionality. It may require scheduling a weekend away on occasion to revisit priorities in life. But periodic discussions around activities and finances have tremendous value as well. Early in the year is a good time to talk about the family budget. A David Ramsey study may be on your list of New Year resolutions. If so, do it! If not, at least review the sources and level of income over the past year month to month. Then look at where the money went month to month – make as comprehensive a list as possible of expenses incurred and put an “N” beside each need (tithe, rent/mortgage, utilities, groceries, etc.) and a “W” beside each want (restaurants, entertainment, cable/satellite, car payment, club membership, etc.). Then ask the tough question - Do your expenses and budget overall reflect your priorities? Be very careful, then, how you live – not as unwise but as wise, making the most of every opportunity, because the days are evil. Therefore do not be foolish, but understand what the Lord’s will is. Do not get drunk on wine, which leads to debauchery. Instead, be filled with the Spirit. – Ephesians 5:15-18. In Paul’s time in Ephesus and today, it is easy to get caught up in the world. Foolishness allows “wants” to masquerade as “needs” if money or credit is available. Getting drunk on wine is analogous to being under the influence of the world. Debt is hard liquor and definitely unwise. Being filled with the Spirit is being under the influence of the word of God. Relationship with the Lord is His will. Are you eating dinner together as a family five times a week? Are expenses with “W”s requiring both parents to work outside the home? Are you learning to love your wife as Christ loves the Church? Are you a “cheerful giver” to your church? Are the kids catching faith in Christ in the home? Prayer guide: My Father, thank You for Your word and Your love. I confess that wants have masqueraded as needs in my home and the associated expenses reflect foolish priorities. I have also fallen short in exemplifying a healthy personal relationship with You and in loving my bride as You love the Church. Forgive me. Strengthen me as I pray through those and other tough questions with my family. 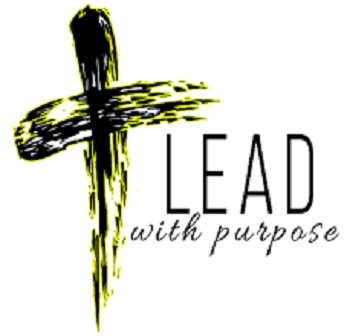 Help me lead with purpose in family, to be very careful how we live, not as unwise but as wise, making the most of every opportunity under the influence of the Holy Spirit. Amen. A faithful father leads with purpose in family – not as unwise but as wise.